We think of waste as a global problem and tend to forget that we are all producing trash. An eco-warrior ponders about the growing challenge of waste disposal. 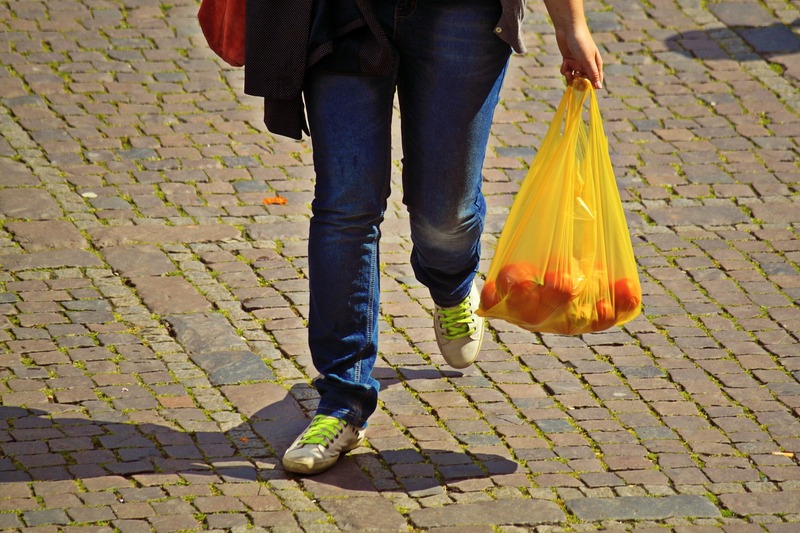 How often do you forget to take a carry bag from home when out shopping? A 'zero waste' goal is a life-changing journey. Since I was a little girl, I have subconsciously been an environmentalist. My love for nature developed with my dad and two elder sisters. We used to visit the Cubbon Park in Bengaluru, try to climb trees but mostly fall off them. My father absolutely loved nature. He never missed his morning walk. Our holidays were road trips: stopping on the way to jump into waterfalls, swimming in the seas, soaking in sunsets and sunrises, and walking for miles. I lost my father when I was a child and being close to nature has been my way of remembering him. When I was in college in 2012, I watched a video of Bea Johnson, a zero-waste lifestyle blogger, at Cambridge Professor Chris Chapple’s World Religions and Ecology class. I was blown away by Bea and her family’s lifestyle. Back then, I believed that she could afford to shop at Whole Foods and must have a lot of free time to make her own products. I conclusively dismissed that I couldn’t live a zero waste lifestyle while working three jobs, maintaining my grades for the scholarship, having a great social life and exploring the new city I came to call home. Trash is intimately connected to every environmental problem we face today, from climate change and habitat destruction to water pollution and chemical exposure. He smiled and said, “Okay, grab a chair. Let us create one!” I added environmental planning as my second major and took some amazing classes in environmental engineering, environmental ethics and policy. The classes made me ponder about our trash creation and disposal problem. I realised that the only time we think about garbage is when we see it piling up or smell it stinking in our neighbourhood. We don’t think about the trash we personally create and often attribute it to a larger global problem that we have no control over. We are products of urbanisation and globalisation and don’t think before using and disposing off a plastic water bottle in a matter of five minutes, something which takes 700 years to start decomposing. In the process, it leeches harmful chemicals into our soil and water—the same soil where we grow our vegetables. But really, have you thought about where the plastic you throw out is actually going? Or about that tiny piece of plastic in the sushi you are eating for dinner tonight? During my zero-waste journey, I realised that we live in a world with products destined for the landfill. Take toothbrushes, for instance. Each year, 4.7 billion of them land in the landfill and take 200-700 years to start decomposing. So every toothbrush you and I have ever produced is sitting on our planet somewhere. Waste was an environmental and a health issue to me when I looked at it through my Cambridge and WHO lenses. But when I returned to India, I began to think about our waste problem as a social justice issue. I was working with a community of waste pickers from West Bengal and spent time shadowing them. I was confronted by the social justice issues of our waste problem. Every day, thousands of waste pickers segregate broken glass, sanitary napkins and needles all with their bare hands. I wanted to stop being a part of this problem. I couldn’t believe how something as innocuous as garbage could have such personal and political ramifications and reverberations. I therefore decided to address my own trash problem first. My solution was to live a lifestyle that best reflected the values I cared about. I had called myself an environmentalist, studied environmental planning, environmental policy and environmental economics in college and graduate school, and I needed to live a life in congruence with my environmental and social justice values. I needed to walk the talk. When I started off, I turned towards Bea’s and Lauren’s blogs, but more importantly, conversations with my grandma took me down the path I am on today. I asked her what she did before the era of shampoos being sold in plastic bottles. 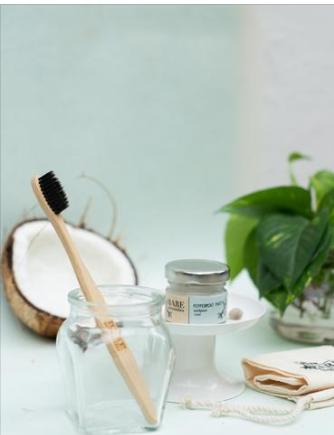 Have you ever thought of what happens to the toothbrush you discard every fortnight? A lot of our Indian traditions are actually rooted in ecological practices or what we now call ‘zero waste practices.’ Our stainless steel Indian ‘tiffin’ is an example of a tradition that is celebrated by the zero waste movement. It draws its origin from 18th century British India and has been immortalised in the form of the dabba-wallahs of Mumbai. This to me is an example of zero waste creating 5,000+ jobs and supporting community health by delivering home-cooked meals to over two lakh people—all without producing any trash. None of food delivery apps of this start-up era can be compared to this model. For me, the transition has been incremental. For instance, when I run out of soap, instead of buying them from stores, I have learnt how to make my own. However, I am still not completely zero waste and I doubt it that I will ever be. In response to this problem, I wanted to create a company that mirrored the values of zero waste, ethical consumption and sustainability. I wanted to make it easy and accessible for other people looking to consume more mindfully and to encourage others to produce less waste. And thus, I began my own high quality, earth friendly, zero waste products initiative. It’s not just about selling products, but about encouraging an earth-friendly lifestyle. A University of Cambridge alumna, she has a background in environmental planning, policy and law, and has worked at the World Health Organization in Geneva and the SELCO Foundation on decentralised energy policy.She is also the founder and CEO of Bare Necessities, a zero waste personal care and home care brand and is also a hub for awareness on waste free living.